Ever since James Dean turned Rebel Without a Cause, denim has established its position in the wardrobe of every man worth his salt. It's a staple that finds favour with all men, and happens to be the go-to outfit when in doubt. Rugged yet comfortable, basic yet stylish, there's something about a great pair of jeans that works its magic like no other. Whatever the occasion, there's always a great pair of jeans that's flattering. Team it with a crisp white shirt, and you are up there looking like a million dollars. Or, at least, that's what all the ladies say. While the good news is that denim has come a long way from the 'blue jeans' phase, making things look even better is the fact that you don't have to restrict it to lowers. Denim is one of the most versatile fabrics in vogue today, and everybody - from high-street brands to the top designers - is embracing it. Yes, jeans are still fashionable, but you would be missing out on half the revolution if you skipped the rest. From shirts to waistcoats, jackets to caps and even shoes, there's nothing denim can't do. Here's how to take your love for the manliest of fabrics a few notches higher! There's obviously the classic pair of jeans. How you like them - regular or slim fit, acid-washed, stone-washed or distressed, in different colours or classic blue and black, high-rise or low-rise, ripped or shredded - is totally your call. What you must keep in mind, however, is the fit. As jeans tend to become second skin for most of us, they should be just as comfortable as they are trendy. For those who find summer a little too hot for denims, there's always the option of denim shorts. And you don't always have to buy them, either. "Brands have been showcasing shorts for quite a while, but most people resent paying for something they can get with just a pair of scissors and an old pair of jeans," says Julie Woodhead, Buying Director at The Collective, a multi-brand store that features creations from Hackett, Armani Collezioni, D Squared and Versace, among others. This leather bag from Guess is a must-have accessory. The denim shirt, on the other hand, is one garment that you just can't ignore. It's been all the rage for over two seasons now, and from the looks of it, it isn't going anywhere anytime soon. It works fabulously well with not just your favourite pair of jeans but also those linen trousers and chinos. 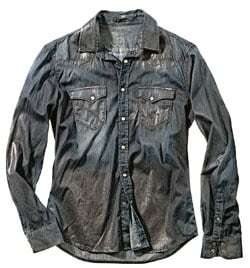 "At GAS, the denim shirt is an iconic piece that best expresses the brand's mission and essence. The denim shirt is contemporary in style but transcends across looks," says Barbara Grotto, Head of Communications, GAS. You can take it from a day out at the movies to an evening of partying with mates, looking like a million bucks through it all. Or you can wear it to a brunch or a semi-formal dinner; versatility is the denim shirt's forte. 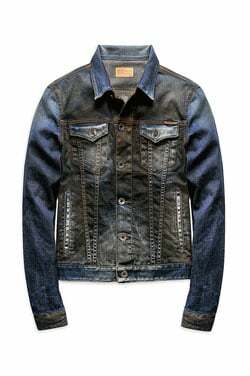 For those aiming at a biker chic avatar, the denim jacket is the perfect alternative to a leather one. It is part-rebellious and part-free spirited, and a great option for those looking at manning up their look. You can choose a lighter fabric for your jacket for summer months, and opt for a thicker one to keep you warm during the winter. 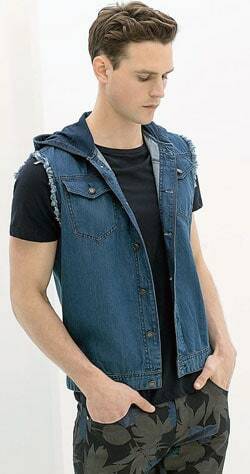 And then there are denim waistcoats that can be teamed with plain shirts and are perfect for a stylish night out. 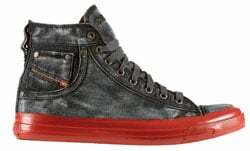 Denim caps and shoes from brands like Tommy Hilfiger, Diesel and Zara have also become immensely popular. 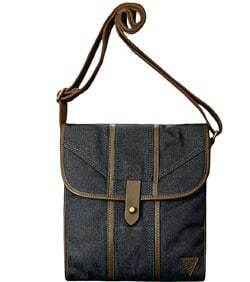 Go one step ahead and get a denim bag or wallet; both are bang-on trendy right now! Your beloved jeans aren't the same anymore - they've only gotten better. The fabric is lighter, the fit is slimmer, and the look is varied. Ripped or shredded jeans have made a big comeback, and a new trend to have set in is patchwork jeans. Small patches of lighter fabric over dark jeans or vice versa give an interesting spin to your basic blue jeans. If you are a big fan of track pants, give track jeans a shot. These come with a ruche hem similar to that of tracks, and are ideal for a sporty look. Also, there are jeans with the fit and design of active wear, combined with the fabric of denim. Pioneering in this style, Diesel calls them Jogg Jeans. Diesel also has a drop crotch style that provides more stretch and comfort. "Crafted in a unique fabric that weaves together the style of denim with the durability of jersey, Jogg jeans put the brand's durability into motion," says Nicola Formichetti, Artistic Director at Diesel. Internationally, denim trousers are also on the rise. This trend, however, is still a few seasons away from taking over the Indian market. 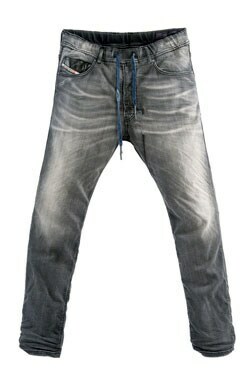 BT More recommends: Jogg Jeans from Diesel are high on both comfort and style! When wearing a denim shirt, make sure you get one in a light shade with soft fabric. You can experiment with its wash or opt for one with prints or embellishments. The more worn-in it looks, the trendier you will appear! No summer look will ever be complete without this Asos denim cap! 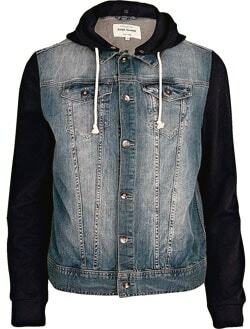 Denim jackets also come in various washes and styles. "The Oklahoma jacket has been a GAS classic, and this season, it's been revived in an edgier fashion," says Grotto. You can try one in a darker shade for a grunge look, but the latest trends also have jackets that combine denim with wool, linen and camouflage print. The camouflage one is an especially great pick because it combines denim with an equally popular trend. Denim waistcoats come in a light fabric, and range from grey, off-white to blue, giving you enough options to work around. Denim shoes in dyed indigo are quite the rage everywhere. From sporty to funky, there's a lot of playing around you can do with these. While these aren't everyday wear, they look stunning when teamed up with white linen trousers. Denim caps and beanies further help bring out your playful side. A word of caution, though - don't try accommodating both your cap and shoes in the same look! BT More recommends: Diesel brings out a great line of denim accessories. While picking shoes, make sure you get high-tops! mosimageDenim-on-denim isn't everyone's cup of tea, and quite naturally so. If you're planning to do a tone-on-tone version of this, we suggest that you reconsider. The first rule of going all-out denim is to make sure that you have different colours and tones in place. Your shirt and jeans cannot be of the same tone, no matter what. Wearing a denim jacket is best avoided if you are going denim-on-denim, but if you really must, make sure it is a tone lighter or darker than your jeans. "Never have more than two denim items in your look. It is overkill," warns Woodhead. So, now that you know the rules, go all out with your love for denim, experiment and let your fun side take over. It is one of the trendiest fabrics in style right now, and if worn well, can take you to fashion nirvana!